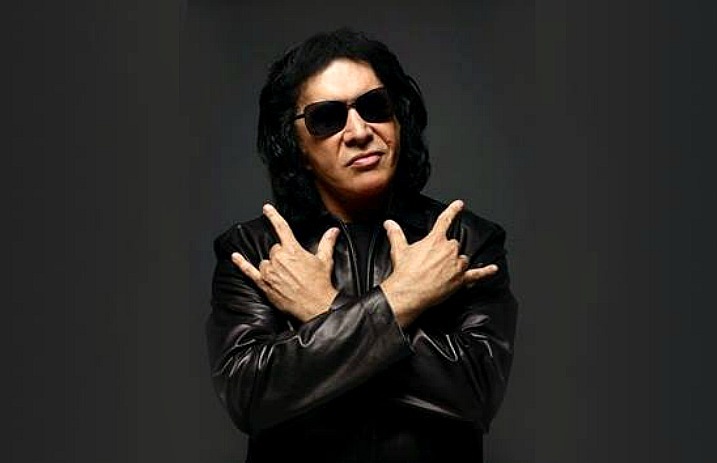 Oh, Gene Simmons. After trying to trademark the metal horns, he’s back at it with another musical tirade—continuing to back his claim that rock is dead. Clearly, he’s standing by the fact that rock is “dead”—and that illegal streaming still seems to be the cause—in his most recent interview with Rolling Stone. When asked more about the music that moves him the most, he explains that it’s the newer pop tunes, like those from Tame Impala—not rock music at all. However, he also blames the “generations of fans” that have “trained themselves to download and file-share and stream for free” on the decay of rock music, meaning that the new guys in the rock game will never have a chance. Not to mention, he also says there aren’t any big rock names anymore, and he’s seemingly doubting there ever will be. As soon as the interviewer attempts to back the likes of Pearl Jam and Radiohead, Simmons says no one would recognize Thom Yorke on the street in Pasadena. And he says no rockstars today will be able to have that effect. “I've been with Dave Grohl when he was walking down the street and nobody knew, and he's a big star. No, that's not what a star is. Prince was a star. You could see him coming from a mile ahead,” Simmons says. And for that, rock is dead. Well, according to Gene Simmons. What are your thoughts on the survival of rock? Does it seem to be thriving and is Simmons just a cynic—or is he on to something? Sound off in the comments below.